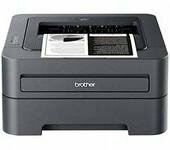 Brother HL-2250DN is a laser black and white printer with print speeds. Which by the way is 26 pages per minute, when printing A4. He is in excellent print resolution, which is 2400х600 dpi. This permission is enough to print any images or text. Is able to print, except in the normal offset and card stock, transparencies, and labels. Has support for two types of cartridges TN2235 which is enough to 1,200 pages and TN2275 2600 sheets. Is connected to the computer through USB 2.0 interface.